Great purchases! Love the black buttercup jacket on you. Looks so warm and cozy. Thanks for the fit details. 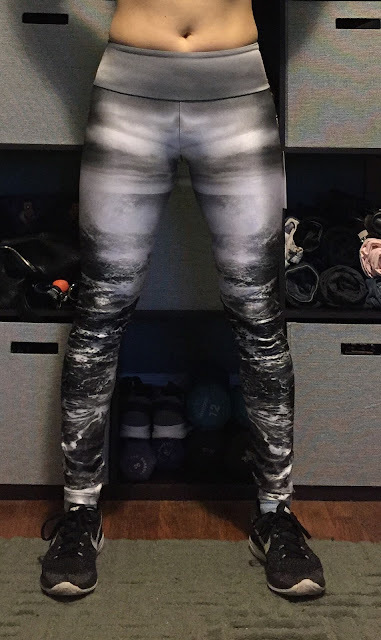 Also, those leggings are so interesting and stunning. I think you will feel awesome wearing them. If our Canadian dollar wasn't so low, I'd be doing more shopping from US sites and I'd definitely be eying those two pieces! Oh well. Money saved yet again! I haven't spent $ for two weeks. It sounds silly, but I'm very proud of myself! Lol. Next time you are at a store, let me know what you think of the Turn Jacket. I have the original Bhakti jacket from a few years ago. It's seldom worn and I'm wondering what the excitement is about the fleece version. Thx! I don't think the US got the Turn Jacket? I'll keep an eye out for it though! 2 weeks is great! I don't know how I'm going to get through a whole month. Especially since I'm eyeing Werkshop leggings! Oh no! 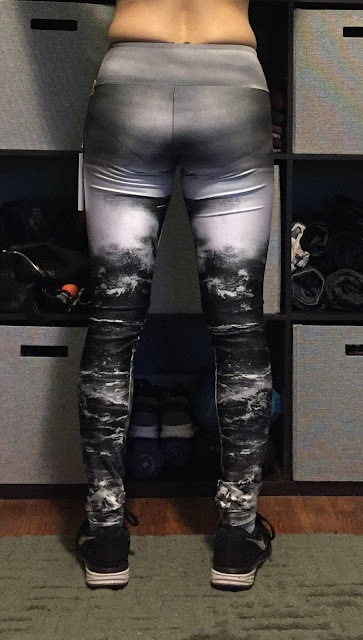 Now I'm checking out werkshop leggings, too! lol. In reality, you are saving me $, because I haven't had to venture into LLL. Once I'm in a store and I try on stuff, it's almost guaranteed that I'll buy something. The vast majority of items fit so well. But I try to "shop my closet" whenever I'm trying to refrain from shopping. I can't seem to decide which I like more, the Dove leggings or the Dragon leggings. I definitely want the Circus Girl ones though! And I'm super sad the Butterfly ones sold out in my size. I will prob go to Lll this weekend just to see what's new. Owls, New Zealand, and Galaxy are my faves. If I had to pick one I'd buy the owls. They will probably restock the butterflies, don't you think? 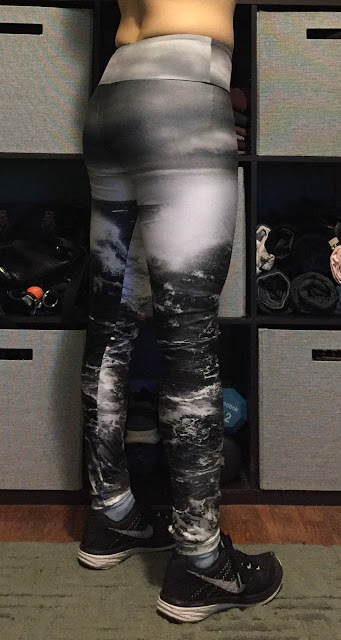 Do you have any intel on the fit of these leggings? The size small fits me pretty well. I will prob pull the trigger on another pair at the end of the month! Maybe they will have the Butterfly ones in stock again. Yup! Buttercup looks great on you. In fact it looks better on you than in the photos posted by Lulu Addict. I also have the black one and I love it! So cozy! I also love the big pockets. Thank you so much! I've bought so much outerwear this season I really don't need any more. I haven't worn it out yet, but I definitely look forward to using the big pockets. I tried on the Turn Jacket today. It's a roomy tts. I thought I liked the Cozy Cuddle Up jacket, but having tried them both on tonight...the Turn jacket is much nicer in terms of fit, material, and style. I purchased my tts 4 in Alberta Lake. My 2 weeks of not shopping has officially ended. ;) And since it's over, I also ordered the black Buttercup jacket and am having it shipped to my sister in law in the US. Hope I get to see it before summer arrives. Lol. Very nice! I hope the US gets the Turn Jacket in Alberta Lake before my ban begins! I would like to see it for myself. I really love that color. The store I went to today didn't have the Turn Jacket! So sad. But glad you passed on the Runderful Pants!